Amy Ming Tsai at a Education Council Consortium Meeting in lower Manhattan. This is the fifth article in a five-part series . 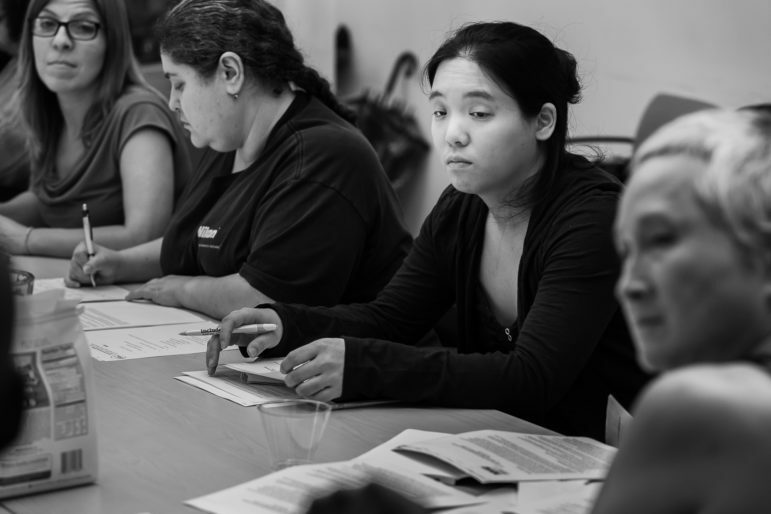 Amy Ming Tsai’s introduction to special education in the NYC Department of Education began in Early Intervention Therapy, where she was advised that one of her children would most benefit from enrolling in a District 75 school. Unlike most community and district schools, which integrate inclusive special-education instruction in a general-education environment, District 75 works with students with more significant special education needs. Student needs in District 75, Tsai says, can be hard to understand and far more intense. In special education, particularly in related services like speech and occupational therapy, the staffing supply has always struggled to meet the demand, particularly as more students receive Individualized Education Programs (IEPs) which detail the mandated special-education services a given student must receive. Many of the more than 297,000 students receiving special education services from the DOE work with teachers and other providers in general-education settings, but District 75 staff work with the more than 23,000 students who require more specialized services. The district is comprised of 69 schools, though many of these schools are spread out over multiple sites and some exist in co-locations with general education schools. One District 75 school in upper Manhattan is divvied across thirteen sites spanning from West Harlem to the Upper East Side (though some District 75 schools are wholly housed in a single facility). District 75’s role in the New York City Department of Education is unique, and there is no other school district in the nation fashioned to work solely with students with significant special needs (which can include significant cognitive delays and sensory impairments, autism spectrum disorders, emotional control issuesor multiple physical disabilities). In addition to the staff shortages, District 75 has a teacher-absentee rate exceeding the rate of New York City teacher absenteeism citywide, according to federal data. The fraught situation is the result of a district trying to meet a ballooning need while lacking the staff to meet it, according to Tsai. In 1975, Congress passed the Individuals with Disabilities Education Act, ensuring that students with disabilities are guaranteed a “free and appropriate public education,” with services tailored to the specific needs of each student. Under the law, students are to be placed in the “least restrictive environment” possible, meaning educators are supposed to strive to keep special-education students in a general-education environment when it’s applicable. Sometimes, however, it might be best for the student to learn in an environment separate from general education; that was the basis for creating District 75. The number of students receiving special education services throughout the country is high, with approximately 6.7 million children receiving some kind of service in the 2015-2016 school year. Additionally, there has been a 55 percent increase in the number of students served by the IDEA Act in the 40 years since it was first signed into law, according to the Learning Policy Institute. The number of school-age special education students in New York City rose from 230,928 in FY 2014 to 265,769 in FY18, according to the most recent Mayor’s Management Report on the DOE. Part of the increase could stem from the jump in autism diagnoses; a 2018 Centers for Disease Control report found that one in 59 students in a study group could be identified as having autism, compared to in 2007, when the CDC surmised that one in 150 children were diagnosed with autism. The CDC surmised the increase was not due to a greater incidence, but because reporting strategies had improved. Nevertheless, these increases place a heavier burden on special education services in schools throughout the country, including in New York City. To determine the special-education services needed, a student’s teachers and parents, as well as administrators, parent advocates and additional parties form a team that will draft an IEP crafted to fit the student’s particular needs. An IEP codifies what support the DOE is required to supply, and they can run the gamut of different forms of physical, speech, psychological and occupational therapy (and more). An IEP’s requirements can raise thorny issues for students and parents in the event of a staff absence or shortage. For example, some students may need additional support on buses to and from school, and their IEPs may mandate that a nurse or paraprofessional travel with them. 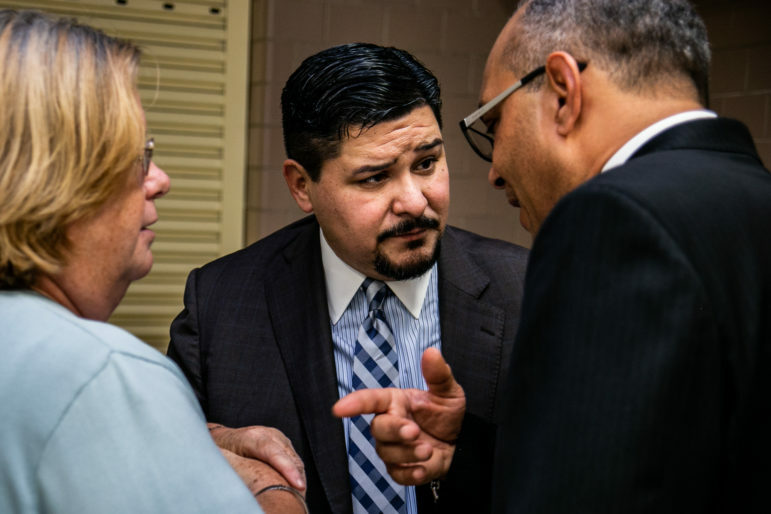 During a town hall for District 75 at the Spruce Street School in lower Manhattan on September 12 with new Schools Chancellor Richard Carranza, a parent asked what could be done when a paraprofessional must accompany a student on the bus to school. The question took Carranza aback, who stressed it is unacceptable for a student to miss school because there is no paraprofessional available to accompany them on a bus trip. Tsai affirmed that if an IEP mandates transportation assistance, a student may not be allowed to board the bus if the required staff member is not there. “With no paraprofessional, the student is missing out that day,” she says. City Limits analyzed federal data from the U.S. Department of Education’s Office of Civil Rights to chart teacher absentee rates in New York City’s public schools in the 2015-2016 school year (the most recently-released data); the data indicated that absenteeism among teachers at District 75 schools was consistently higher than other schools. The average number of teachers absent more than 10 days during a year throughout all schools in the city (not including District 75 schools) was 18.8 percent, but for District 75 the average absentee rate was 25.1 percent. The District 75absence rates differed among boroughs; for example, in Manhattan the gap between general education teachers and teachers in District 75 was only 3 percent (14.9 percent to 17.9 percent, respectively), but in Queens 28.5 percent of District 75 teachers were absent, compared to 20.9 percent of teachers in other schools. In addition to increasingly the likelihood of day-to-day absences by teaching staff, the dispersed nature of District 75 can also make it hard to hire teachers in the first place. “If you have a candidate who lives in Westchester and you have to travel all the way to Coney Island to fill in a seat, it’s not going to be logical to travel four hours a day driving on the BQE because you’re teaching 8-9 hours a day and you have to drive that far to get somewhere,” Tsai says. 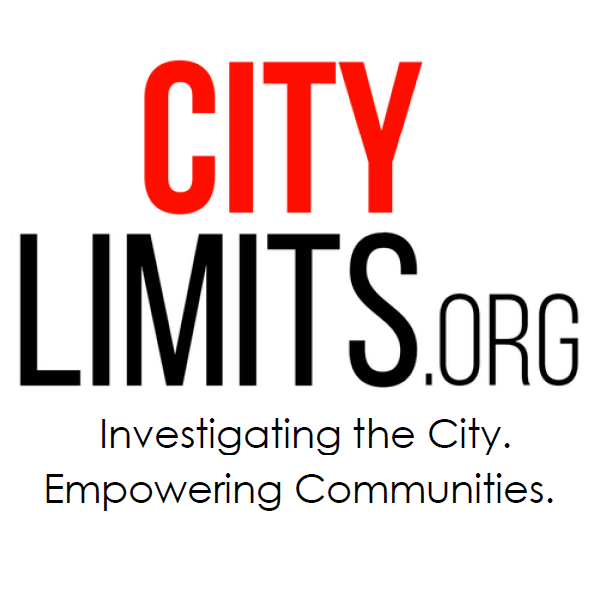 City Limits is a nonprofit. Your support makes news (literally). 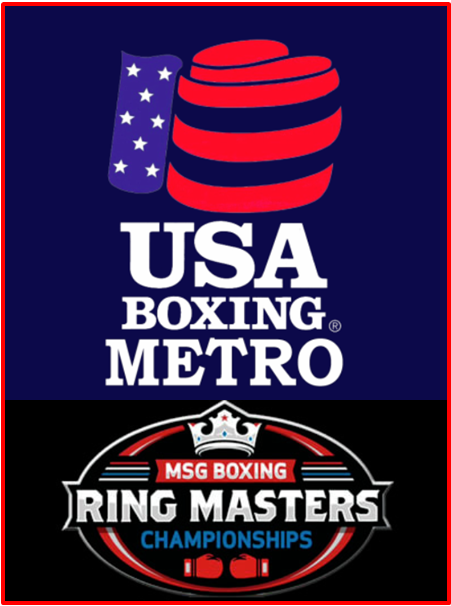 Please donate today! However, both Tsai and Titanya DeLoach, a STEM 5th grade teacher at P.S. 176x, a District 75 school located in Co-Op City in the Bronx, say the most pressing issue for District 75 schools remains in finding qualified applicants to fill open positions. This particularly holds true for services like speech and occupational therapy, which are seeing a boost in demand; a 2015 New York Times article cited a 30 percent rise in the number of student referrals for occupational therapy from the prior four years. The issue isn’t that there aren’t highly qualified staff in the District 75 system—the problem, rather, is that there aren’t enough of them, at least with the needed certification. According to state data, in the 2016-2017 school year, 49 percent of District 75 teachers had a Master’s or Doctorate, compared to 37 percent of total teachers in the state. But the data also indicated that 19 percent of D75 educators were teaching “out of certification,” compared to an average of 15.9 percent in New York City’s 32 other school districts. If services mandated by a student’s IEP are not available in the student’s school, a parent can seek services outside the school that will be approved (and paid for) by the DOE. About 27 percent of special education students throughout the city did not receive all their services from their school, according to data from the 2015-2016 school year, although this was a 14 percent improvement from the year before, according to a 2017 DOE report on special education (the report did not look separately at District 75 schools, instead including them in the the geographic school districts where their physical facilities were located). Carranza noted during the October town hall that he was “concerned” about how many families needed to seek services outside the DOE to fulfill their child’s IEP. “One of our goals will be to create programs and create a service model so we can bring back those students and families into the DOE,” he said. New Schools Chancellor Richard Carranza has expressed concerns about staffing shortages within the special education system. Even when the staff is in place, the level of need for District 75 students may outstrip its availability. Tsai says that District 75 students often require more sessions with students compared to students with IEPs in a general-education environment. In community schools, a therapist may be dealing with more students with IEPs, but the amount of services each student needs may be lower, which leaves therapists more time to work with more students. DeLoach found the greatest shortages were in “related” services—which can include physical, occupational, psychological, speech and an assorted other services—for K-5 students in District 75. Many certified special-education teachers who enter the DOE workforce opt to work in students in an inclusive general education environment, DeLoach says, forgoing District 75 positions. Even the rate of students graduating from speech, physical and occupational therapy programs poses a challenge. The city is responding with a variety of scholarship programs and other incentives to entice students towards choosing these career paths, but Tsai cautions that it is important to support teachers and staff in District 75 schools with professional development, competitive salaries and benefits. Still, it seems that once teachers have made the decision to specialize in special education, and found a school with a commute that makes sense, educators tend to stay in the same schools in District 75, compared to other NYC school districts. Teacher turnover throughout all of District 75 was relatively low compared to some other NYC districts, at 15 percent for teachers with less than five years of experience, according to New York State Education Department data from the 2016-17 school year, with total turnover rates of 14 percent, compared to an average of 17.1 percent in the city’s other 32 school districts. There have been 400 new teachers hired in District 75 schools since the start of the new school year, according to the DOE, and recruitment efforts include trips to universities and job fairs targeting appropriately-credentialed educators. Additionally, the DOE offers a multi-year financial incentive for new teachers who commit to work in a “Teachers of Tomorrow” high need school, which includes most District 75 schools. This series was made possible through a grant by Local Independent Online News Publishers (LION). Thank you for the article. As a Principal in a non-public 853 school dealing with the hardest 5% of the special education population, we find it even harder to adequately fill our classrooms with staff. Due to the low reimbursement rate of the state, we cannot afford to match or even come close to public school salaries. In my small building where we house 9 classrooms, I’m am currently searching for three special education teachers as one teacher just recently found a better paying job.